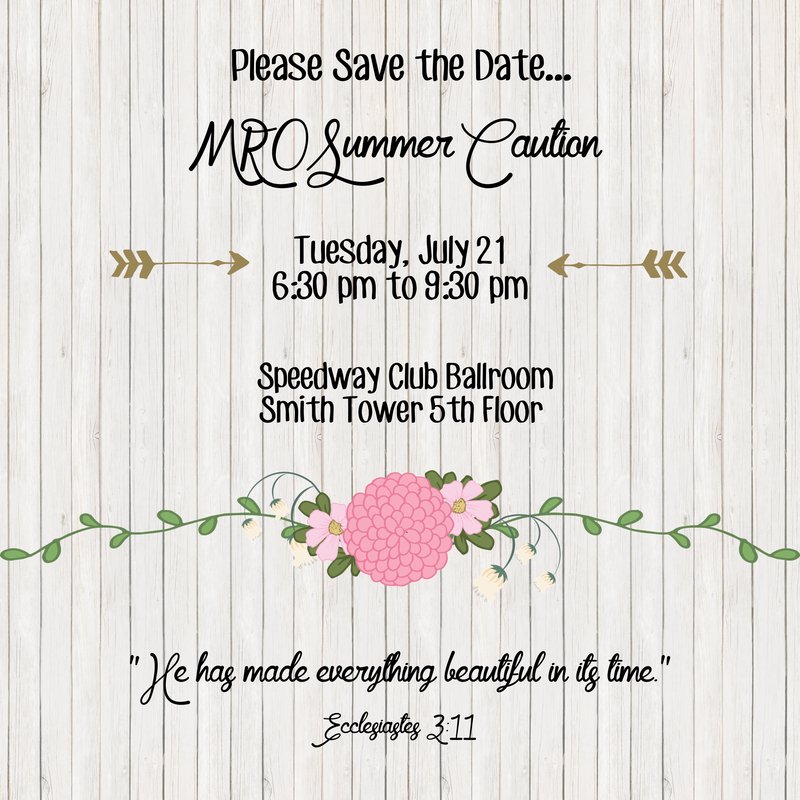 So very excited to announce the musicians who will lead us in a “Night Of Worship, Hope & Encouragement” at the 2018 MRO Summer Caution on July 17, 2018. We will be collecting gift cards for the ladies of “Hope For The Warriors”! 25 amazing ladies who care for their disabled military spouses will join us at our tables. Our honor on this night is to care for their hearts, become a source of hope & encouragement and help meet their needs as determined my the “Hope For The Warrior” leadership! We will be collecting gift cards that can be used to offset some of their expenses as many ladies have had to leave the workplace to stay home and care for their husband and families. I would love to send each lady home with a new Bible. Please contact me directly if interested in helping out!! We had a great time at the January Caution last night! We love getting together with our friends for dinner, encouragement and giving back! Now, we’re looking forward to the Summer Caution! We hope you’ll be able to join us for this special night! We’re finalizing details about the non-profit that we’ll partner with this summer – stay tuned for that announcement! This weekend, we’re headed to Atlanta for more fun with our sweet friends! 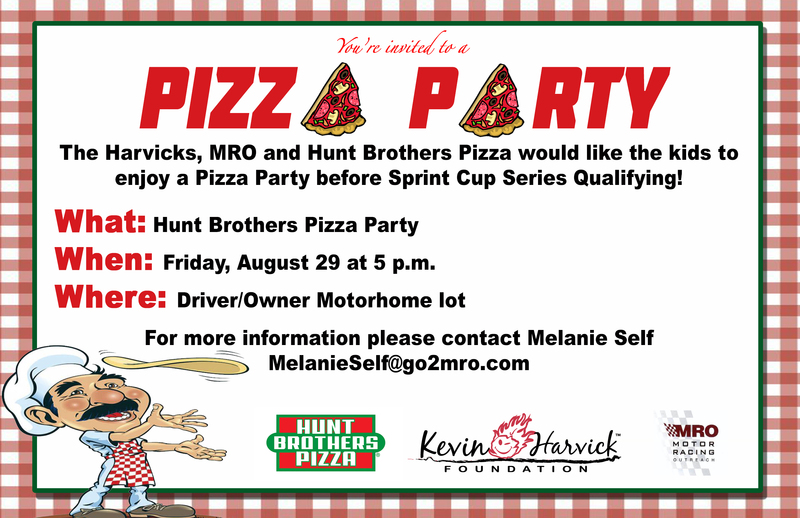 Join us Friday, August 29th at 5:00 pm as the kids have the opportunity to make their own Hunt Brothers pizza. We’re grateful for this fun event planned by the Harvicks. We have a special treat provided by one of our families this weekend! Our Bible Time lesson is on Joshua and Caleb. We’re looking forward to seeing our friends this weekend! We invite you, as we pause during the middle of our season, to join us in community with God and other women. We want our hearts to be connected and refreshed by the truth of God’s Word. We’ll share coffee, worship, learn more about an upcoming opportunity to give back in our community, and hear stories of God’s grace shared by ladies in our NASCAR family. All of us have stories filled with both brokenness and grace – our coffeehouse is a safe place for hurting hearts to be strengthened by God’s grace. Our hope is that you would join us for this special evening to be refreshed and uplifted by the truth of Scripture in Ellie’s songs and by the gift of gathering together with other ladies! 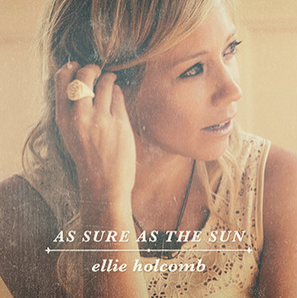 Enter to win Ellie’s CD! Check out Ellie’s album here! We pray you love it as much as we do! For more information about Ellie, click here!